These walnut courtroom benches, stained a deep mahogany color, are simple yet sophisticated, and they have been re-upholstered with soft black leather. Please note that the following variations in the benches. 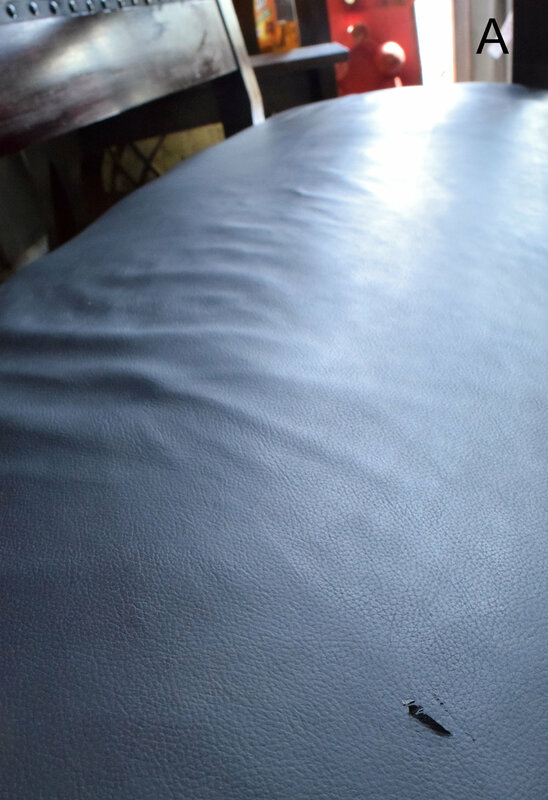 In one bench (bench A - main photo) there is a small 3/8" tear in the leather near the center of the bench. Also note that the back has not been re-upholstered; see photos for details. Bench B has leather upholstery on the backside, although it is only roughly stapled in place. 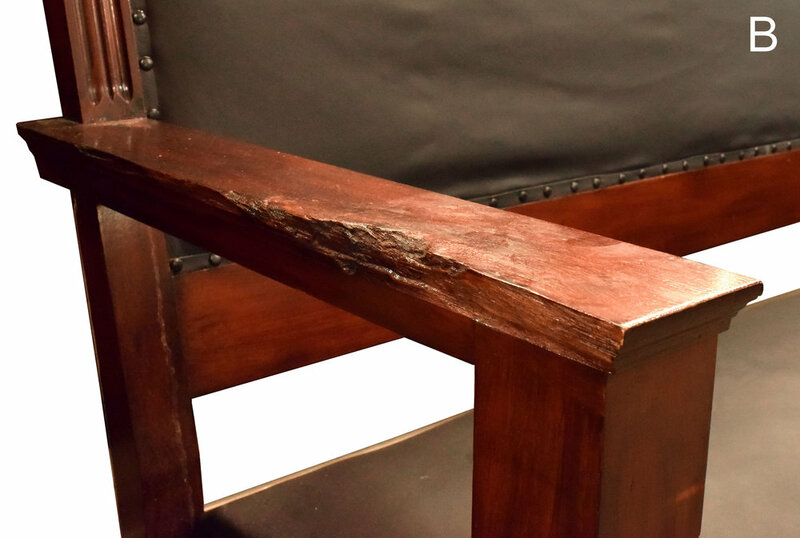 There is also a large notch on one armrest that we think adds tons of character to the piece! Be sure to include the Product ID (47054) when making your offer.